In order that we can raise the much needed funds to continue bringing you the shows you love every weekday afternoon, Afternoon Tea will be taking a week’s break, starting June 4th. We’ll be back to our regular schedule June 11th, which will get underway at 1:30pm with Last of the Summer Wine. 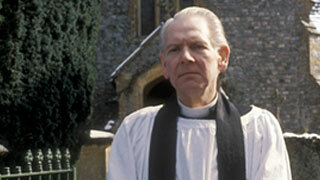 That’ll be followed at 2pm by To the Manor Born, and in the June 11th episode keep an eye out for the vicar, played by Gerald Sim. Sim appeared as the rector in a total of 15 episodes of To the Manor Born, but you may have also seen him as the vicar in an episode of Keeping Up Appearances. It was a one off appearance, before Jeremy Gittins became the series’ permanent vicar. The church that you see Sim presiding over in To the Manor Born is located in the small parish of Cricket St. Thomas in Somerset. 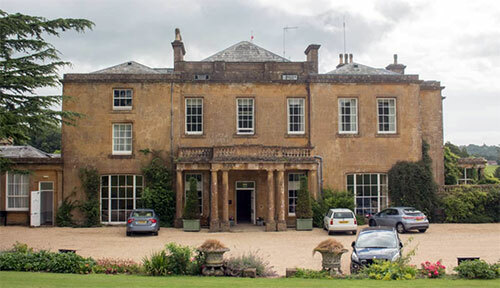 Grantleigh Manor in the series was in reality Cricket House, a manor house dating back to the 14th century. The lodge in which Audrey fforbes-Hamilton lived is actually about a mile away from the main manor house, with gateposts being added to make it look a lot closer to "Grantleigh". In 1999, Cricket House became a Warner Leisure Hotel. I’m sure Audrey would have something to say about that! Afternoon Tea is Maryland Public Television's weekday presentation of British programs. 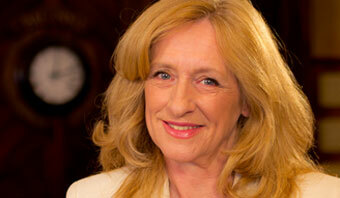 Our host and Tea Lady is Heather Sanderson. Mar 18: Welcome back, Are You Being Served? Jan 21: My visit to the West End!